Posted on October 8, 2012, in Banjo, Bluegrass, Blues, Country Music, Creativity, Gospel music, Music, music therapy, Old-time music, Theology and Life and tagged Africa, banjo, Bela Fleck, Bluegrass, Carolina Chocolate Drips, Deliverance, Dynamite HIll, Gary Furr, Gary Furr music, Give Me the Banjo, Gold Tone banjo, old-time music, Steve Martin, Throw Down Your Heart. Bookmark the permalink. 5 Comments. 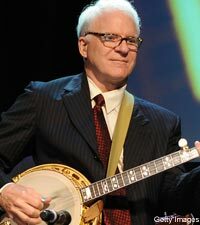 I love listening to the banjo, though my musical skills are limited to the guitar. Enjoyed the PBS piece “Give Me the Banjo” when it aired. Now I must track down “Throw Down Your Heart.” Sounds like a wonderful documentary. Thank you for this post. I had one a dozen years ago, Charles, but traded it along with a guitar for a Martin, which I didn’t regret, but it gives me joy to have it again. I don’t perform with it, maybe sometime, just enjoy it. Thanks for the read! I’ve missed your post. You must be a very busy guy. Reading your epistles, I not only learn plenty but also hear your voice as I read. That my friend, is music to my ears. Loved the banjo as a little girl. Can’t see how you can listen without a smile. Thanks, Joni. I was in St. Simons Georgia week before last and San Francisco all last week leading a retreat. Dirty job, that. See you soon. Thankful to have those who not only hear my voice but appreciate it!